Marron is a name given to two closely related species of crayfish (also known as yabbies) in Western Australia. Formerly considered a single species, it is now recognised as comprising two species, the critically endangered Cherax tenuimanus, and the species which is outcompeting it, Cherax cainii. Marron are considered a luxury product and are the subject of a developing aquaculture industry in Western Australia and other Australian states. Total Australian production of farmed marron was 30 tons in 1996. In Western Australia, recreational fishing for marron is tightly controlled, with a limited season, permits are required and minimum sizes are enforced. 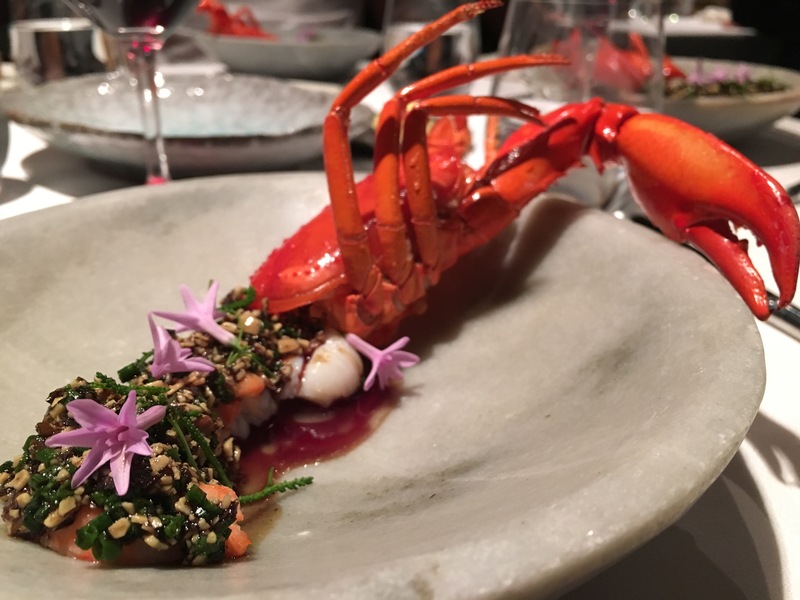 Marron have been introduced to Kangaroo Island in South Australia, where they have been commercially farmed, and have established feral populations in local waterways. At The moment I’m working in Attica restaurant in Melbourne, Attica|Review| for few weeks before I’m going back to Italy and every day we received few kilos of Marron alive, best quality. Marron with sweet and sour Pumpkin seeds.